Simon Taylor is a competition and procurement specialist, recommended in Legal 500 and Chambers and Partners as a leading junior in public procurement. He returned to the Bar in 2012 after 20 years of practising as an EU and competition lawyer, including 7 years as a partner in a leading firm of solicitors and 5 years in Brussels. He has a busy contentious practise, acting both for bidders and buyers in public procurement disputes and also provides strategic advice on the conduct of tenders. He advises companies, utilities and public bodies on competition, state aid and regulatory issues arising from disputes, transactions such as mergers or joint ventures and commercial agreements or conduct. He has specific expertise in regulated sectors such as healthcare, communications, rail and water. 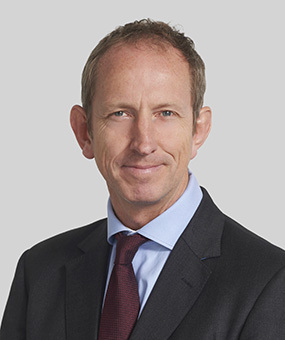 Simon was appointed to the Attorney General’s “C” Panel in March 2015. Acting for the successful defendant in R (Hersi & Co Solicitors) v The Lord Chancellor (as successor to the Legal Services Commission)  EWHC 2667 (TCC), a claim relating to the 2010 round of legal services tenders. Acting for Virgin Care Services in a procurement dispute with a various Surrey based CCGs in relation to a community health care services tender. Acting for NHS Dartford, Gravesham and Swanley Clinical Commissioning Groups in successfully lifting an automatic suspension (junior to Sarah Hannaford QC): Kent Community Health NHS Foundation Trust v NHS Swale Clinical Commissioning Group “CCG” and NHS Dartford, Gravesham and Swanley  EWHC 1393 (TCC). Acting for Sunderland City Council in a challenge to a tender for substance misuse services, including representing the Council on an application to lift: Counted4 CIC v Sunderland City Council  EWHC 3898 (TCC). Acting for Geodesign in a challenge to a tender procedure for flood barriers, including a successful application for specific disclosure (junior to Sarah Hannaford QC): Geodesign Barriers Limited v The Environment Agency  EWHC 1121 (TCC). Acting for Healthcare Environment Services (“HES”) on its procurement challenge to the award of a waste contract by a consortium of NHS hospital trusts. Acting for NHS Solent Trust in its challenge to a tender for social care services run by Hampshire County Council. Acting for NHS England on various matters, including challenges brought by Health Intelligence and Medical Imaging Limited. Acting for a provider of pathology equipment and services on a challenge to a tender conducted by an NHS Trust. Acting for NATS (junior to Sarah Hannaford QC) on its successful application to maintain an automatic suspension of a tender procedure for the provision of air traffic control services to Gatwick Airport: NATS (Services) Limited v Gatwick Airport Limited  EWHC 3133 (TCC). Acting for the Defendant in Medical Services Limited v North West London NHS Hospital Trust (not reported) on a procurement challenge relating to a tender for patient transport services, including successfully striking out part of the claim. Acting for MWDA (junior to Sarah Hannaford QC) on an application for an injunction in Covanta Energy Ltd v Merseyside Waste Disposal Authority  EWHC 2922 (TCC). Acting for Monmouthshire County Council in defending a claim brought by Centregreat Limited in relation to a street lighting tender. Assisting Basildon & Thurrock University Hospitals NHS Foundation Trust and Southend University Hospital NHS Foundation Trusts on gaining CMA Phase 1 approval for their pathology joint venture with IPP. Acting for InHealth on a challenge to a national tender for the provision of PET-CT scanning services under the EU and NHS procurement rules and EU competition law. Advising a R&D company on the treatment of eligible costs for the purposes of the state aid General Block Exemption Regulation. Advising a development company on the state aid implications of a regeneration project. Advising a coffee retailer on the competition law implications of franchising and other distribution methods, on pricing and marketing and the implications of mergers in related sectors. Advising the Labour on the public interest exemption for mergers under UK and EC law and its application to the proposed Pfizer/Astrazeneca merger. Advising an English university on the state aid implications of ERDF grant funding for the construction of a science park. Advising an English University on the state aid and competition implications of a joint venture with a private provider of higher education services. Representing a research company on a procedure brought by the European Commission to claw back funding granted under the FP7 framework. Advising an information services provider on the competition, state aid and procurement implications of a public undertaking’s involvement in the health information sector. Advising a Trade Union on the state aid and procurement implications of the sale of a port services business. Representing clients in several mediations relating to procurement claims and NHS commercial disputes. Acting as assistant mediator on a competition damages follow on claim involving multiple parties. Acting for British Orthodontic Society as interested party in British Dental Association v NHS England, a judicial review relating to a decision to start a tender for NHS orthodontics services using a dynamic purchasing system and without engaging first in a consultation process. Acting for Transport for London as interested party (junior to Marc Rowlands QC) in Heathrow Airport Ltd v Office of Rail And Road  EWHC 1290 (Admin) (26 May 2017), a case relating to charges payable by the Crossrail service for accessing the Heathrow spur. (SRS) during an interim period pending a national procurement for SRS. Judgment is the first case based on the NHS (Competition, Procurement and Patient Choice) No 2 Regulations 2013: QSRC v NHS England  EWHC 3752 (Admin). Acting for the Legal Aid Agency on a strike out application in the Admin Court against a claim brought by Mr Hersi challenging the 2010 tender for legal aid services: Hersi v Legal Aid Agency (unreported). Advising a local authority on its response to a letter before action relating to a contract award decision relating to social care services. Advising a major IT services company on disputes relating to a Government contract following a tender procedure. Advising a Commissioning Consortia Group on a contractual dispute and mediation relating to a 5 year Community services contract. Advising a local council on disputes arising under a theatre management contract. Advising a GP practise on restrictions relating to the sale of goodwill. Advising a commissioning body on the contractual and regulatory implications of the 2014/15 Monitor tariff changes. Representing a buy to let tenant in a dispute with a local authority over service charges and on a successful counterclaim for damage caused by breach of repair covenant. Case included notable Housing Act issues as well as a significant distress and inconvenience award. (Camden v Elshami – for Bar Pro Bono Unit). Representing company directors in a two day unfair dismissal hearing before the employment tribunal, including preparation of witness statements and settlement negotiations (Free Representation Unit). Advising the Labour Party on a range of matters in the run up to the 2015 election including the EU free movement law implications of changes to welfare laws and policy, the use of strategic and social criteria in public procurement and the options for changes to rail franchising policy. "His acumen and technical expertise are greatly appreciated by clients." "Very experienced with complex cases, including large scale contracts and procurement." "He's very sharp-witted and knows the law very well." "He provides commercial, practical advice and doesn't make heavy weather of cases and instructions. He doesn't make a drama out of a crisis; he gets on with it." "Very competent and practical in his approach to strategy." Encouraging Innovation in Procurement – Whitepaper, May 2014. Procurement law and NHS healthcare – Competition Law Association, April 2014. The challenge of competitive neutrality in public procurement and competition policy: the UK health sector as case study – Competition Policy International, July 2011. Cloud computing: challenges from a competition law perspective – Computers and Law Magazine, October/November 2011. NHS Procurement and Competition: An obligation to tender NHS services? – Nottingham University, Global Revolution VII, June 2015. Chaired and spoke at the CLT Procurement and Competition Issues in the Health Sector Conference June 2014. Workforce Conditions in Procurement – Whitepaper, April/June 2014. Time Limits and Remedies in Public Procurement Current Trends – MBL webinars, November 2013. Mitigating the Procurement Risk of Contract Change – Whitepaper, April 2013. College of Law Media interview, Public Procurement Update – February 2013. EU Law and Construction – SCL Conference February 2013. Framework Tenders in Practice – CLT A-Z of Procurement Conference, June 2012. Flexibility in Framework Tenders – Whitepaper conference, London, March/May 2012. Public procurement in the water industry – Water UK Lawyer’s Conference, February 2012. Simon enjoys the theatre, travel, hillwalking, skiing, rugby, food and wine.